but since we made them last minute, I didn't have a chance to share them with you. So here they are this year! Up Up and Away! It's Valentine's Day! the planes were from the party goods section at walmart. You pull them back and they drive- highly entertaining. 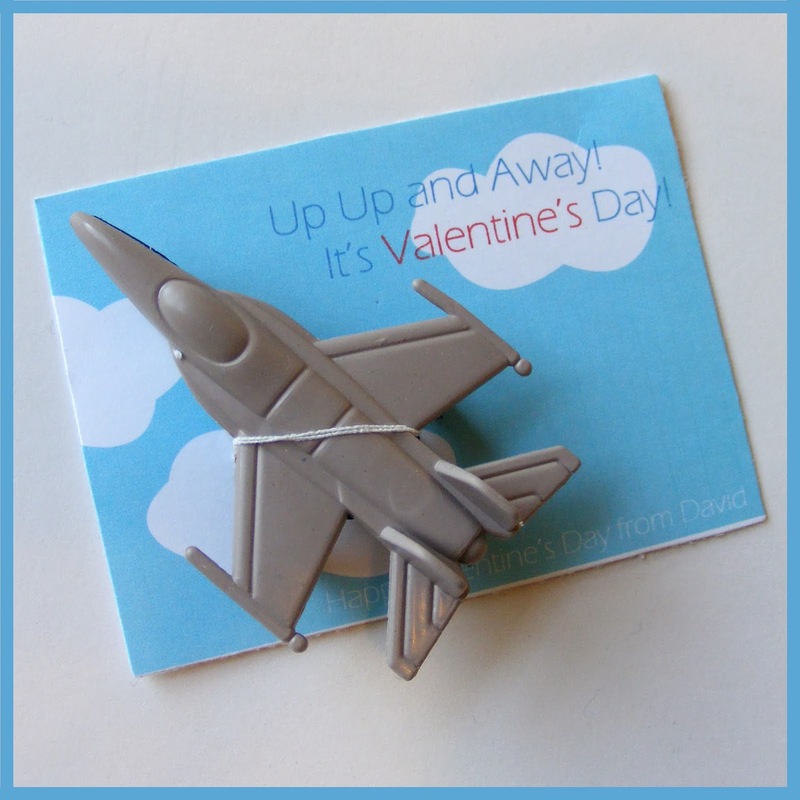 I just poked a couple holes in the card and tied the plane on with elastic thread. 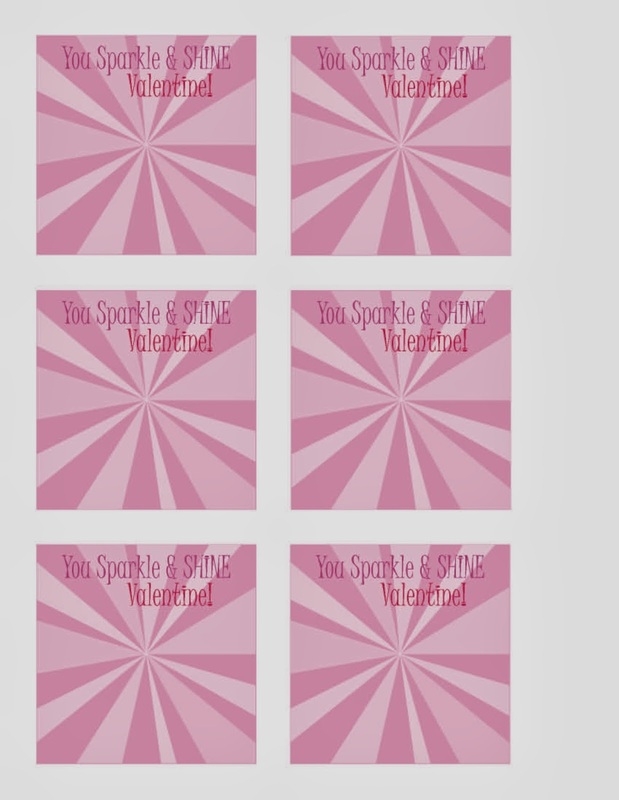 You Sparkle and Shine Valentine! Again, rings from the party section. Just cut a slit in the card and slide the back of ring through. "Oh! 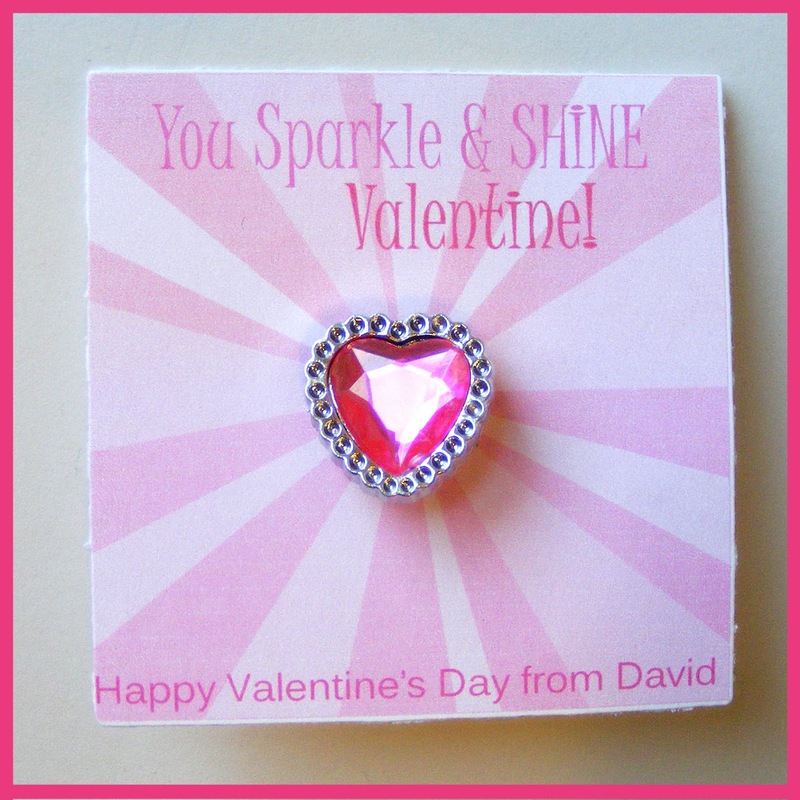 David gave you a RING!" with lots of giggling and blushing. 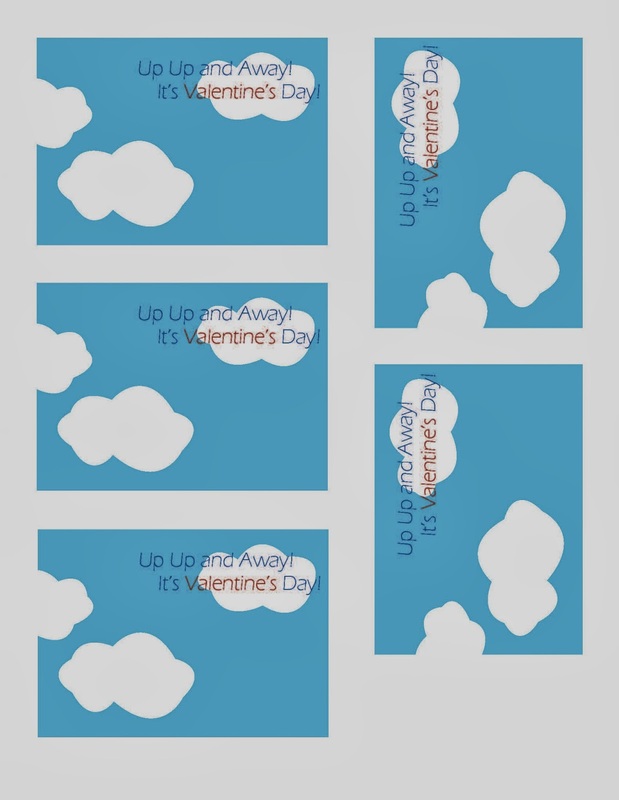 just click on the picture and print away!